Dewa Retreat offering comfortable accommodation to the visitors from all across the globe. The suites and the rooms of the hotel are well furnished and very spacious. The classic comfort and a host of amensities that it make available to all its guests make it a class apart. Super Deluxe Rooms that reveal a whole new world of comfort, luxury and style. Super Deluxe rooms of our hotel are elegantly appointed with crafted furnishings and will make you feel like heaven on earth. 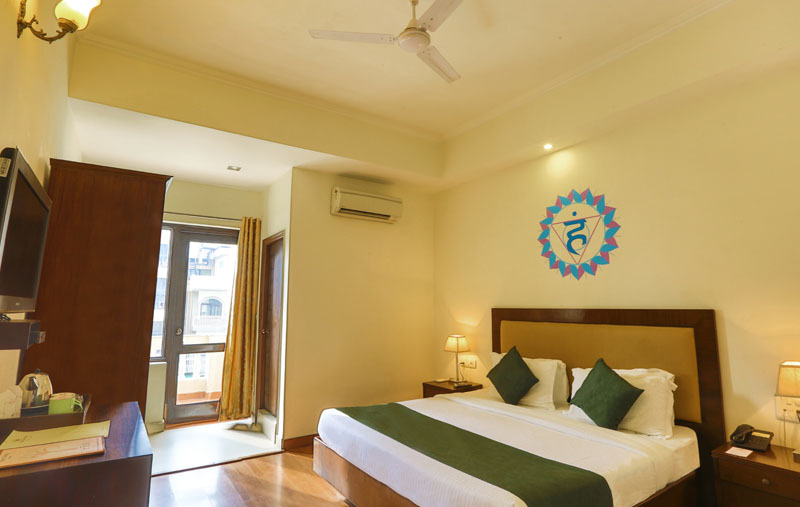 Super Deluxe Rooms are twin bedded and offer incredible value for money. Just the right place for you to enjoy a calm and relaxed stay. The twin, king size beds and cozy pillows of the extravagant rooms will soon take you to a sweet sleep go together with mesmerizing dream. The Italian floorings with Italian tiles give a magical effect to the rooms. This Super Deluxe Rooms offers a LCD TV with premium channels and air-conditioning. Stay connected with high-speed internet access at the large work desk and refresh in the elegant bathroom with a range of luxury amenities. We provide you with a truly boutique experience with our exclusive designed rooms giving you a true experience of space and luxury. The four-storied retreat has 30 contemporary himalayan mountain facing rooms, each designed with keeping the local himalayan feel and contemporary aspects in mind. Our 14 Super Deluxe, 4 Deluxe, 7 Semi Deluxe guestrooms are ideal for those seeking peace and relaxation in a quiet retreat. Guests who prefer more space and opulence our Deluxe Suites are an ideal option. 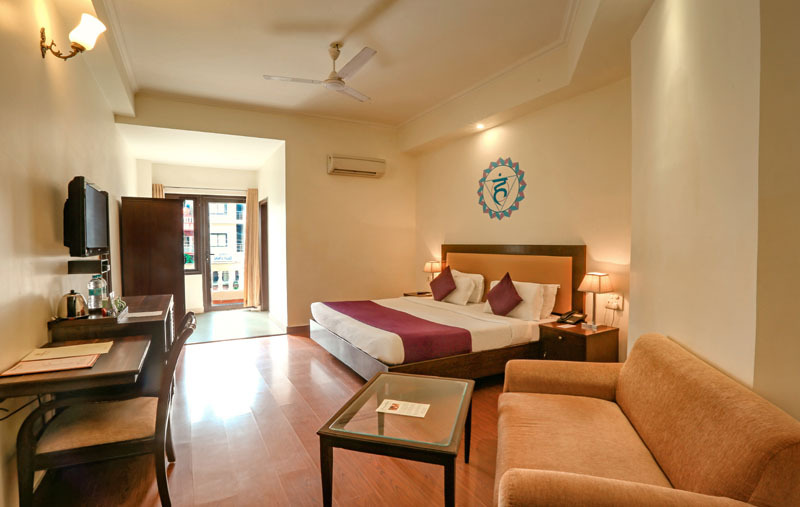 Semi Deluxe rooms are our basic standard rooms with all amenities with a queen sized double bed. 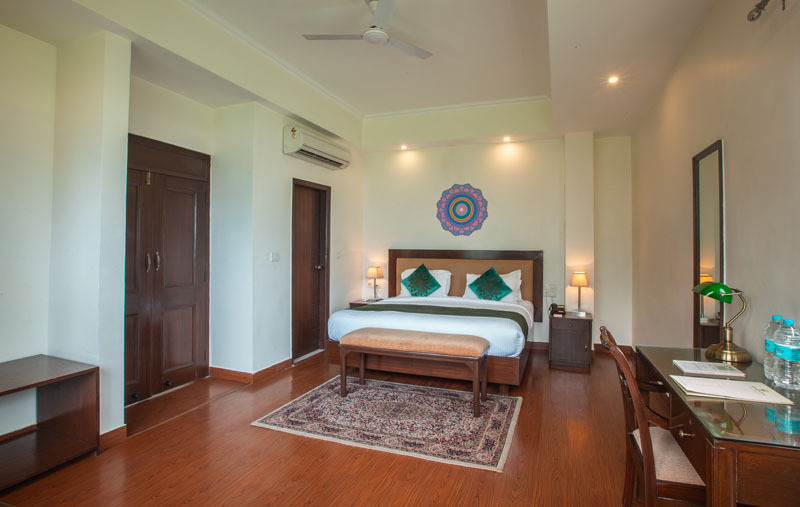 These Rooms have No View. .
Deluxe rooms are our standard 220 sq feet rooms having a partial mountian view and modern amenities with 2 single size beds. .
Deluxe Suites are the largest and tastefully designed rooms at Dewa Retreat. These rooms are approximately 450 sq feet in size. .